So when a Vice President of a major video game company says "We have a big secret we can't talk about yet," most people tend to perk their ears up and tear apart the interview for every bit of information possible. Unfortunately, Sony has been in ultra-top-secret mode when it comes to talking about their plans for a next generation console. 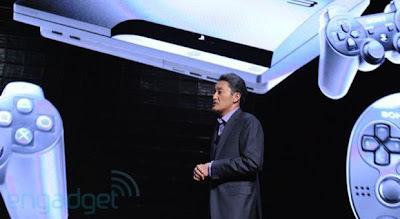 That might change soon as VP of Home Entertainment Hiroshi Sakamoto hinted in a recent interview that a "big announcement on the PlayStation side of Sony" is coming. Sakamoto said that they would like to talk about it soon but May is the soonest we will get information. Obviously, they will be getting ready for E3, but if they introduce the console itself beforehand, they not only get a one-up on Microsoft, also expected to reveal a new system this year, but can spend their entire E3 Press Conference talking about all the games they have planned to come out for the system. While E3 is still far away, as is May, I will wait in anticipation for whatever news Sony decides to share with the world.